5.11 TACTICAL - military watches. 88 Rue du Rhone - founded in 2012. 121 TIME - "Create Your Own Swiss Made Watch." 666 BARCELONA - all models. 10,000 Year Clock - The Clock of the Long Now. A. LANGE & SÖHNE - founded in 1845. A. LANGE & SÖHNE - Wikipedia. ACCURIST - "A Timeless British Classic." ACCUTRON - Bulova Spaceview. Limited edition: 1,000 sequentially numbered, handmade collectible pieces. 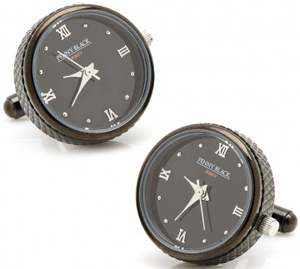 ACME STUDIO - men's pocket & wrist watches. ACTIVA - owned by Invicta Watch Company. ACTIVA KIDS - owned by Invicta Watch Company. AEROWATCH - "Artisans Watchmakers since 1910." Aeternitas Mega 4 - "The most complicated wrist watch ever made in the world: 36 complications, 1483 components, 99 jewels." A. FAVRE & FILS - since 1718. "Ten Generations of Watchmaking Tradition." AIRBUS - model: Chronograph Watch. ALAIN PHILIPPE - jewelry timepieces. ALAIN SILBERSTEIN - Architecte Horloger. ALBA - "Positive & Smart." Wristwatch sub-brand of Seiko Watch Corporation which appeared first in 1979. Alcatel OneTouch Watch - "More Than Just a Pretty Face." Compatible with both Android and iOS. ALESSANDRO BALDIERI - all models. ALESSI - wrist watches. Men's & women's. ALEXANDER AMOSU - Alexander Amosu has customised the Rolex Submariner to celebrate the Golden Jubilee of Nigeria’s Independence: £15,000. Alexis Barthelay Watches - since 1930. ALFEX - "The "ex" in Alfex stands for excitement, expressiveness, and exuberance." CLASSIC PINK GOLD WATCH - US$9,800.00. FACET PINK GOLD WATCH - US$9,500.00. Alor - since 1979. All models. Men's & women's. ALPINA - founded in 1883. Alpina - "Horological Smartwatch Collection." Men's & women's. ALTANUS GENÈVE - since 1914. Amara - "Life - Style - Living." Alarm, cuckoo, desk, mantel & wall clocks. AMAZON.COM'S LUXURY WATCHES STORE - save up to 35% on luxury watches: TAG Heuer, Omega, Movado, Cartier, GUCCI, Breitling, and more. AMERICAN WATCH COMPANY - custom and promotional logo watches. Android Wear - by LG. ANGULAR MOMENTUM - founded 1998. Creator and manufacturer of custom made and bespoke timepieces. ANTOINE MARTIN - "Swiss Contemporary Watch Manufacture." APPELLA - "Swiss made since 1943. Jewellery that tells time." INFINITUS - "Slimmest gold watch in the world!" Apple Watch - since April 24, 2015. All models & accessories. Apple Watch Series 3 - "The freedom of cellular." Take a call when you’re out on the water. Ask Siri to send a message. Stream your favorite songs on your run. And do it all while leaving your phone behind. Apple Watch Series 3 with cellular. Now you have the freedom to go with just your watch. Apple Watch Series 4 - "There’s an Apple Watch for everyone." Walkie-Talkie, phone calls, and messages. Stream Apple Music and Apple Podcasts. New ways to use Siri. Built-in cellular lets you do it all on your watch - even while you’re away from your phone. All models. Apple Watch Series 4 HermÈs - "A shared vision, seen in a whole new light." A partnership based on parallel thinking, singular vision, and mutual regard continues with a fresh new expression. The latest Apple Watch Hermès collection showcases boldly colorful leather bands and a delightful new watch face designed by Apple. It’s the ultimate tool for modern life - now with a dash of sophisticated whimsy. Apple Watch Series 4 Nike+ - "Get connected through sport." Apple Watch Nike+ is the perfect running partner with the Nike Run Club app. But for most people, that’s just one facet of their training. That’s why Nike created the Nike Training Club app to let you tap into a world of different workouts and experts. Together they’ll help you build the endurance and strength to take your fitness to the next level. Apple Watch: More Than Just a Bracelet - The New York Times. Apple Watch Review: Bliss, But Only After a Steep Learning Curve - The New York Times. Is It Time for an Apple Watch? - The New York Times. ARCTOS ELITE - German military precision watches with a tradition since 1923. Areion Watches - "Great British designed watches." ARISTO - "Pilotwatches from Germany." ARMAAN - "Swiss Diamond Watches." ARMIN STROM - all collections. ARNOLD & SON - "Masters of the Longitude in London since 1764." ARTYA - "A new contemporary dimension in the art of watchmaking." ASKANIA UHREN - "Precision since 1837." Asus ZenWatch - "Where Perfection Meets Intuition." Asus ZenWatch 2 - "Time-Honored Craftsmanship, Infinite Styles." Asus ZenWatch 3 - "Time-Honored Craftsmanship, Smart Customization." ATLANTIC - "Swiss Made Watches Since 1888." ATOMIC CLOCK - NIST | National Institute of Standards and Technology. New compact atomic clock design uses cold atoms to boost precision: NIST's new clock design has the potential to be about the same size as NIST's chip scale atomic clock (about the size of a matchbox) while being up to 1,000 times more precise over crucial time spans of a day or more. ATOMIC TIME WATCHES - "Top radiocontrolled watches." AUDEMARS PIGUET - "Le maître de l'horlogerie depuis 1875." AUDEMARS PIGUET - by Stuart Hughes. Encrusted with 5.85cts, of the highest quality Flawless diamonds. Price: £25,995.00. Diamond Outrage: Audemars Piguet's extraordinary High Jewellery watch - The Telegraph. AUGUSTE REYMOND - founded in 1898. AURICOSTE - founded in 1854. Watchmaker to the French marine. Aurum Edition Apple Watch Series 4 - "Aurum Edition is among a handful of luxe jewelry and accessory brands that transform the ubiquitous iPhone into a hand-held piece of fine art for wealthy clients who like to flaunt their economic status. Aurum Edition also applies the luxe treatment to the Apple Watch. The Series 4, the face bordered in gold plating and adorned with hand engraved skulls, runs $2,200. AUTHENTIC MODELS - clocks & hourglasses. AVIATOR - Russian and Soviet aeronautics and space exploration serves as a constituent of the watch design style. Aximum - "The King of Timepieces." Azad Watches - all collections. AZIMUTH WATCH USA - "Mecha complications." BABY-G - women's watches by Casio. BACCARAT - crystal desk clock. BACKES & STRAUSS - founded in 1789. BADOLLET - from 1655 until the middle of the 20th century, the Badollet family was an uninterrupted dynasty of watchmakers, from father to son. "Badollet watches are worn by those who appreciate the rare and the exceptional." BALENCIAGA - The Balenciaga Watch. BALL WATCH COMPANY - "Since 1891, accuracy under adverse conditions." BALL WATCH COMPANY USA - BALL Watch mechanical timepieces: Swiss made, American owned. Ball Watch Company was founded in 1891 to standardize time for the United States railroads. BATHYS HAWAII Dive Watches - "Professional Watches. Designed in Hawaii. Made in Switzerland." Bathys Hawaii Cesium-133 Atomic Clock - "World's Most Accurate Wristwatch." BAUME & MERCIER - since 1830. "Life is about moments." All watches. BAUME & MERCIER - all Capeland watches. BAUME & MERCIER - all Classima watches. BAUME & MERCIER - all Clifton watches. BAUME & MERCIER CLIFTON QP - "An homage to astronomical observation and the beauty of celestialmechanics, the new Clifton Perpetual Calendar embodies one of the most successful and fascinating complications of distinguished watchmaking." BAUME & MERCIER - all Hampton watches. BAUME & MERCIER - men's watches. BAUME & MERCIER - women's watches. BEDAT & CO. Geneve - since 1998. Specializes in making luxury watches for Women Of Character. BELL & ROSS - since 1992. "Designed for professionals who demand optimal reliability, Bell & Ross watches meet four basic principles: readability, performance, precision, water-resistance." BENZINGER - "Unique watches & skeletonized watches." BERING TIME - "Inspired by arctic beauty." BERNEY-BLONDEAU - Tips and Methods Regarding How to Obtain the Right Swiss Watches & Jewelry. BERTHET - since 1888. "Fabrication Française de montres de poche et de montres mécanique à complications." BERTOLUCCI WATCHES - "Mediterranean inspiration, Swiss craftsmanship." BETSEY JOHNSON - since 1978. "Watches for Women." BEXEI WATCHES - "Where Unique Solutions Are Born." BEYER UHREN - since 1760. "Beyer Watches & Jewellery, situated on Zurich’s Bahnhofstrasse, is the oldest watch shop in Switzerland." BIJAN - since 1976. "The House of Bijan, considered the most expensive store in the world, is the legendary by appointment only showroom on Rodeo Drive." BIJOUMONTRE - since 2004. "Uniting the fine art of Swiss watchmaking with exquisite jewelry design." BINDA - "Watches since 1906." BLANCHEFONTAINE - "Swiss Watches." Personalized and custom, and private label Swiss watches. BLANCHET - founded 1819. "Extreme Activity Watch. Swiss Made Chronometer." BLACK BELT WATCH - "The first watch in the world that money can't buy!" High-end Swiss watch solely reserved for black belt holders, regardless of the martial art style. BLACKSAND GenÈve - "Swiss Luxury Watches." BLANCPAIN - founded in 1735. 1735 GRANDE COMPLICATION - one of the most complicated mechanical watches ever made: 740 pieces of handmade parts and components. It is a true grand complication: Tourbillon, minute repeater, perpetual calendar, split chrono. A limited edition of 30 pieces only. Production of just one piece per year. Price: US$800,000. BMW Watch Collection - "The quest for perfection and uncompromising craftsmanship. Traits shared by the makers of fine timepieces and automobiles alike." BOEGLI - Swiss Made Musical Watches - Since 1904. "When time becomes music." BÓlido - "A Swiss watch for new times." We call it "Bólido", Spanish for meteor. A luminary that crosses between the somewhat immovable fixed stars of established brands on the watch firmament. BOMBARDIER - "Swiss Chronographs." An emblematic alliance for an exceptional watch. Bornova - "Swiss made mechanical watches." Borrowed Time - since 2012. "Luxury Watch Rental for Men." BOSOVI - by Prodori. All models. BOSS - black & orange watches. BOTTA DESIGN - all models. UNO - the original one-hand watch, since 1986. UNO 24 - the 24-hour original. BOUCHERON - since 1858. "Luxury wacthes for men & women. "All collections. BOVET - since 1822. All collections. BOZEMAN WATCH COmpany - Wikipedia. BRAUN clocks - "Braun clocks have been thoughtfully and simply designed to enhance their individual uses through a combination of standout features and innovative functions.."
BRAUN watches - all collections. Bravur - since 2011. All models. BREGUET - since 1775. All collections. Model GJE15BB20_8924D01 High Jewellery Timepiece. MARIE-ANTOINETTE GRANDE COMPLICATION - pocket watch number 1160. The watch's self-winding movement comprises 823 parts and components. Originally ordered in 1783 by a mysterious admirer of the French Queen Marie-Antoinette (1755-1793). It was only finished in 1827, 34 years after her death, 4 years after Brequet's (1747-1823) and 44 years after he'd accepted the order. BREIL - since 1939. Men's watches. BREIL - since 1939. Women's watches. BREITLING - since 1884. "Instruments For Professionals." Breitling Emergency Night Mission - "The world’s first wristwatch with built-in dual frequency personal locator beacon is now issued in three special editions combining a black titanium case with orange or yellow accents, or a blue mother-of-pearl dial. With its miniaturized transmitter and its original integrated antenna system, the Breitling Emergency is synonymous with all-terrain safety for professionals and adventurers around the globe." Exospace B55 - "In the forefront of connected chronographs, the Exospace B55 is asserting itself as a concentrated package of innovation, functionality and performance." BREITLING FOR BENTLEY - all collections. BREMONT - since 2002. Luxury, aviation themed British watchmaker based in England. Bremont Watch Company - Wikipedia. the fascinating story behind Bremont's new DH-88 Limited Edition watch - The Telegraph. BRERA OROLOGI - since 2008. Luxury Italian watch collection. BRIGADA watch co. - all collections. B.R.M. | BERNARD RICHARDS MANUFACTURE - since 2003. BROOKS BROTHERS - since 1818. All collections. BRUNO BANANI - men's & women's watches. BUBEN & ZÖRWEG - since 1995. "The First Stop for Passionate Lovers of Fine Timepieces." BUCHERER - founded in 1888. All collections. Bulbul - contemporary Danish watch brand. All collections. BULER Swiss watch - founded 1945. BVLGARI - since 1884. "Combine the extraordinary creativity and emotional impact of Italian design and traditional Swiss expertise." BVLGARI BVLGARI - men's watches. BVLGARI BVLGARI - women's watches. haute horlogerie - men's watches. high jewelry watches - women's watches. BVlgari Diagono Magnesium Concept Watch - "Thanks to an NFC chip, the Diagono Magnesium will be able to store and access your personal information like your passwords, bank accounts, and credit cards, which can be managed through the BVlgari Vault app on your smartphone." BULLOC ITALY - since 2004. BULOVA - since 1960. Men's & women's watches. ACCUTRON Spaceview - limited edition: 1,000 sequentially numbered, handmade collectible pieces honoring 50 years of timekeeping innovation. men's watches - all collections. Rubaiyat Collection - women's watches. women's watches - all collections. BUNTER ARCADIA AC01 WATCH - "Reinvention of Legendary Collection." BUNZ watches - at Chrono24. SCUDERIA FERRARI ONE - limited edition: 60. Price: US$300,000. CAL ALEXANDER - by Prodori. CAMEL ACTIVE - by Mondaine Watches. CARL F. BUCHERER - founded in 1888. CARL F. BUCHERER - Wikipedia. CARLO FERRARA - luxury Italian watch brand manufactured in Switzerland. Carter Marsh & Co - dealer in English and European antique clocks & watches. CARTIER - founded in 1847. Cartier Collection: Complications - "Movements with complications that offer additional information, apart from the time, are considered the peak of the watchmaker's art. Watches with these sophisticated mechanisms chime the hours, show the date, wake you up, measure an event... From 1910, Cartier's example encouraged the most prestigious manufacturers of movements to offer their clients highly technical watches in exceptionally elegant designs." Cartier Collection: Cufflinks - cufflinks with compas and watch. Cartier Collection: Jewellery watches - "Whatever the watch, appearance takes precedence. Cartier firmly remains a jeweller, and almost every watch it invents includes a highly precious jewellery version. Many women’s models are principally conceived to be decorative: it is a bracelet with a watch rather than a watch with a bracelet." CARTIER Collection: Santos - "In 1904, the Brazilian pilot Alberto Santos-Dumont complained to his friend Louis Cartier that while he was flying with both hands on the controls, it was impossible to read the time on his pocket watch. Soon afterwards, Cartier sent him a prototype of a wristwatch. It was sold from 1911 as the Santos. It was the first watch with bracelet attachment lugs integrated into the case. These integrated lugs made it the first modern wristwatch for men. CARTIER Collection: Shaped Watches - "Louis Cartier was the first to set the design codes of modern watchmaking from the perspective of a jeweller. A pioneer of his time, he believed the beauty of a watch was not just a matter of its decoration. The size, shape and proportions, the look of the metal, and the harmony between bracelet and case were just as important. He soon became interested in "Special-Shaped watches" – those with a case that broke away from the traditional round design. "Tonneau" (barrel) shaped watches in 1906, square cases from 1908, and "tortue" (turtle) shapes in 1912 were the first examples of very beautiful watchmaking created by an innovative jeweller." CARTIER Collection: Tank - designed by Louis Cartier in 1917. "He had seen press pictures of the first Army tanks. Their metal tracks inspired the watch's principal feature: its lateral brancards, or the vertical sides. This time, with a perfect simplicity that Cartier liked, the lugs and case formed a straight line." Cartier PanthÈre: the relaunch of a Eighties icon - The Telegraph. CASIO - founded in 1946. WAVE CEPTOR WATCHES - atomic timekeeping. Casio Outdoor Smartwatch - "Smart and Active for Nature's Biggest Adventures." CATOREX - since 1858. "The First Creator of Pocket and Pendant Watches in Switzerland." Central Standard Timing - CST-01: the thinnest watch in the world. CHAIKA WATCHES - since 1956. CHANEL WATCHES - men's & women's. Monsieur de Chanel - combines perfect geometric proportions, extreme circularity and refined graphic numerical design. CHARLES OUDIN PARIS - since 1790. CHAUMET - founded in 1780. CHOPARD - founded in 1860. Christiaan van der Klaauw - since 1974. "The only atelier in the world that is devoted to the design and production of exclusive, hand-made astronomical watches." CHRISTINA DESIGN LONDON - Swiss made diamond timepieces. CHRISTOPHER WARD - "Swiss Made watches from Christopher Ward." CHRONODECO - "Limited Edition Timepieces." Repair and restoration. CHRONOGRAPHE SUISSE - "A brand with Italian style." CITIZEN - founded in 1918. One of the world's largest producers of watches. CITIZEN WATCH CO. - Wikipedia. Clock of the Long Now - 10,000 Year Clock. Cogito Fit - "Fashion concious connected watch that also has a number of fitness features." Cogito Pop - smartwatch for Android. COGNITIME - "Capture the pure Scandinavian moods." COMELIE Timepieces - The Comelie London Watch. COMITTI - clockmakers since 1850. "Comitti of London have been making the finest quality grandfather (longcase) clocks and barometers for over 150 years." CONVERSE - founded 1908. Men's. CONVERSE - founded 1908. Women's. CREDOR SPRING DRIVE SONNERIE - "Pure Sound. Pure Motion. Pure Perfection." CROTON - founded in 1878. CUERVO Y SOBRINOS - founded in 1882. CX SWISS MILITARY WATCH - since 1963. CYMA - founded in 1862. CYRUS - "Committed to demonstrating that Haute Horlogerie can be both original and different without compromising in any way on quality and respect for tradition." Cyrus Kambys Gold & DLC watch - Limited edition: 188 pieces. DAKOTA WATCH COMPANY - founded in 1945. DALIL MECCA WATCHES - "The watches specially designed for Muslims." DAMASKO - USA German watches. DAMIANI - "Handmade in Italy Since 1924." Luxury watches for women. DANIEL MARSHALL - "A Symbol of Quality." Since 1982. Precious wood quartz clocks. DANIEL ROTH - established in 1989. DANIELS LONDON - Dr. George Daniels, MBE - Horologist. "Considered by many to have been the finest horologist in the world during his lifetime and indeed, the last 250 years." DAVID YURMAN - since 1980. Men's. DAVID YURMAN - since 1980. Women's. Davidoff Very Zino Dual Time watch - men's. Davidoff Very Zino GMT Chronograph - men's. Davidoff Very Zino Lady Limted Edition Jewellery Watch - women's. Davidoff Very Zino Lady Solid Gold White mother-of-pearl dial - women's. Davidoff Very Zino Solid Gold Chronograph Bicolour Dial - men's. DE BEERS JEWELLERY WATCHES - since 2002. Women's. DE BETHUNE - founded in 2002. De Boulay & Korn - founded in 2006. DE GRISOGONO - founded in 1993. DE HAVILLAND - "Swiss Watches for Pilots by Pilots." DE LA COUR - "Since Tomorrow." DEBONAIR TIME - "Debonairtime creating debonair gentlemen since 2014." DEEP BLUE WATERS - "Founded in 2007 Deep Blue Watches has quickly become the industry leader when it comes to Professional grade Dive Watches." DEFAKTO - puristic designed automatic one hand watches by Raphael Ickler. DELANCE - Swiss watches for women. DENT London - since 1814. "Luxury Watches & Clocks from the makers of Big Ben." Winston Churchill's first watch was a Dent. King George V's Dent struck eleven as the Great War ended. Tsar Nicholas II, the last Emperor of Russia, wore a Dent. Dent built Big Ben's famous four-faced clock. DEVON TREAD 1 - "For the watch enthusiast with a passion for innovation and ingenuity, the new must-have timepiece is the Tread 1." DIOR WATCHES - subsidiary of LVMH. DOOMSDAY CLOCK - maintained since 1947 by the Bulletin of the Atomic Scientists at the University of Chicago. SUB 1200T PROFESSIONAL - legendary dive watch. Driade - "Modern designer wall clock collection." DUALTOW - "The Timepiece Signed by Christophe Claret." DUFEAU - "A piece of aircraft on your wrist." E. GLOCK CORPORATION - founded 1956. E. MARINELLA - since 1914. All models. E.B. Horn - "Jewelers Since 1839." EBEL - "The Architects of Time." Edge Clock - "Wake up your imagination to a new way of looking at time that reflects how each moment is fleeting and unique. This clock’s surface is made of a transforming thermo elastic membrane that forms digital numbers, which appear to be engraved into the surface. As the time changes, the surface is wiped blank every 30 seconds followed by the updated time." EL CASCO - founded in 1920. Exclusive desk and mantel clocks. ELGIN WATCH COMPANY - founded in 1864. EMILE CHOURIET - since 1685. ENDURA WATCH FACTORY - founded in 1966. Private label and licensing division of the Swatch Group. ENILA - "Unique timepieces. Designed by you. Crafted by us." EOS COLLECTION - since 2002. EPOS - "Artistry in Watchmaking." EQUIPE - "Iconic Inspired Watches from Detroit." ERIC EDELHAUSEN - "Legacy Timepieces." ERNEST BOREL - founded 1856. ESTABLISHED & SONS - font clock (wall clock). ESTABLISHED & SONS - Two Timer clock by Sam Hecht. ETA - founded in 1793 as Fabriques d’Horlogerie de Fontainemelon (FHF). EVIGA - "Time to Play." All collections. FABERGÉ WATCHES - since 1917. Gentlemen's timepieces. FABERGÉ WATCHES - since 1917. Ladies' timepieces. FAVRE-LEUBA - Swiss luxury watches since 1737 making it the oldest Swiss watch brand. SCUDERIA FERRARI ONE BY CABESTAN - limited edition: 60 pieces. Price: US$300,000. FESTINA - "Your time, your life." Founded in 1902. FILSON - "Building on a heritage of guaranteed quality since 1897." Men's. First Class Watches - "Buy watches from an official UK retailer." Flik Flak - "The Swiss watch for kids and children." FORMEX - "Built for Speed." Fossil Q Touchscreen smartwatches - "Connected accessories that are smart and look smart, too." All models. Fossil Wrist PDA - smartwatch that runs Palm OS (2003-2005). F.P. JOURNE - founded in 1999. "Invenit et Fecit." FRANC VILA - "Esprit unique." FRANCHI MENOTTI - founded in 1974. FRANCK MULLER - founded in 1991. "Master of complications." FRANKSTONE - "The Wellness Watch." FRED - founded in 1936. FRÉDÉRIC PIGUET - integrated into Blancpain. FRÉDÉRIQUE CONSTANT - founded in 1988. Frederique Constant Horological smartwatch - "Frederique Constant presents its beautiful luxury Swiss watch that is now connected and smart. A quality product with longevity created from fine materials and made by hand." FRÈRES ROCHAT - "Créateurs d'émotions." FRUITZ - "Natural Frequency Technology" by Philip Stein. GALLET - founded in 1466. World’s oldest watch and clock making house. "Pioneers in Professional Timekeeping." MUSEUM EDITION FLIGHT OFFICER CHRONOGRAPH - limited series of 1050 signed and numbered pieces. Garmin Approach S3 - rugged and waterproof, the Approach S3 golf watch is packed with tens of thousands of worldwide courses. GARMIN FORERUNNER 210 - GPS-enabled sport watch accurately records how far, how fast and how hard you worked. Garmin Forerunner 910XT - GPS Watch Tracks Every Swim, Bike, Run Stat. Garmin - "No matter what your fitness level or activity preference is, Garmin has you covered." Garmin fenix 3 HR - "True Performance Meets True Style." Garmin fenix chronos - "Refined GPS Timepieces for the Athlete Adventurer in You." Garmin vÍvoactive HR - "GPS Smartwatch with Wrist-based Heart Rate." Garrick - since 2014. "English Luxury Watchmakers." English Time Machines. Fine British made watches handcrafted in Norwich, England. GENEVA WATCH GROUP - founded in 1978. Leading designer, manufacturer and retailer of high-quality brand watches, such as Kenneth Cole, BCBG, Tommy Bahama, Freestyle, and other brands. GEOCHRON - since 1970. "The Finest World Clock Made." ORIGINAL KILBURG GEOCHRON MODELS - the Geochron allows any observer to determine what time it is anywhere in the world. The colorful map itself is an endless belt that is driven slowly from left to right by an electric clock motor in synchronism with the rotation of the earth. GEORG JENSEN - since 1904. Georg Jensen CLOCKS - all models. Georg Jensen KOPPEL - men's & women's. Georg Jensen Vivianna PavÉ 326 - Special Edition. Georg Jensen watches - men's. Georg Jensen watches - women's. GERALD GENTA WATCHES - since 1969. GEVRIL - Mens 5110 Avenue of Americas Limited Edition Rose Gold Chronograph Watch. GEVRIL - Ladies 6208RV Avenue of Americas Glamour Automatic Pink Diamond Watch. GIANTTO - customizing time since 1967. "Reckless Luxury." GIGA TOURBILLON - by Franck Muller. Gingko - "Click Clocks - Best sellers since 2011." GLASHÜTTE ORIGINAL - since 1845. GOLAY SPIERER - "Le Temps à votre mesure." Goldgena Watch Project - "Mechanical Timepieces at Reasonable Prices." We reveal everyting about prices and origin. We'll challenge the 'Swiss Label' and the traditional to distribution and marketing. GOLDSTRIKER INTERNATIONAL - unique diamond timepieces. GOS - Swedish watch brand Gustafsson & Sjögren. Gozzo Sorrentino Watches - "Italian Classic Watches." GRAFF WATCHES - "Graff watch collection are inspired by a perfectly cut diamond." Crafted in Geneva, these exceptional timepieces perfectly combine the highest levels of Swiss horology with Graff's unrivalled gem-setting. Bespoke watches - offer the ultimate in horological luxury. Butterfly Collection - Graff's unmistakeable diamond design. Chrono Graff Collection - Graff's Sport watch collection. Graff Star Collection - Dress Watch Collection. Gyro Graff Collection - tourbillon collection. Jewellery watch collection - highly sculptural jewelled watches. Master Graff Collection - Ultra Flat tourbillons and Automatic Skeleton watches. Scuba Graff Collection - diving watch. GRIMA - Andrew Grima (1921-2007) was an Anglo-Italian designer who became known as the doyen of modern jewellery design in Britain. GUÉPARD - established in 1979. Guess Connect - Powered by Martian. "Beauty & Brains." Fashion Meets Lifestyle Functionality. Beautifully designed fashion smartwatches. H3TACTICAL - sturdy Swiss watches equipped with Swiss H3 selfpowered permanent illumination system. Sole watch supplier of the Swiss Army for several years. PERPETUAL 1 - the only watch in the world to feature the patented “Flash Calendar” perpetual calendar. HAFFSTREUNER - "Special watches for special people." HALDA - founded in 1887. HAMILTON - "The American Brand Since 1892." talking analog watch - the watch automatically synchronizes nightly with the atomic clock in Ft. Collins, CO, U.S.A.: US$99.95. Fliegerchronograph 1939 | Pilot's Watch - limited to 2500 pieces. HANOWA - Swiss sports and military watches. Harold Pinchbeck - since 1923. "Luxury English Watches." HARRY WINSTON - founded in 1932. OPUS 2 - limited edition of 12 pieces. OPUS 3 - limited edition of 55 pieces. OPUS 4 - limited edition of 20 pieces. OPUS 9 - limited edition of 100 pieces. HARWOOD WATCH CO. SWITZERLAND - "The World's First Manufacturer of Automatic Wristwatches." Patented 1924. HELLO KITTY - watches & fun clocks. HELSON - dive and sports watches. HENRI DUVOISIN - since 1904. HERMÈS Apple WATCH - "Double Tour." Hermle Clocks - founded in 1922 in the Black Forest region of Southern Germany. HIGH STREET WATCHES - since 1999. Hitler's Wristwatch - made by Eszeha in 1939. Click HERE to see photo. HMT Watches - founded in 1953. Holzkern - "Wood & Stone Watches." HOROLOGICAL MACHINES - by MB&F. HOWARD MILLER - since 1926. The largest grandfather clock company in the world. GRAND VOYAGEUR COLLECTION - inspired by the 93.700 platform clocks of the French railway network. Huawei Watch - "Timesless Design. Smart Within." In harmony with Android and iOS. The Huawei Watch is designed to be part of your look, and part of your life. It pairs with any Android phone and it's also one of the first watches powered by Android Wear to work with iPhone. Huawei Watch - women's. "Chic Curved Design. Premium Rose Gold Case. Elegant Watch Faces." HUBLOT - founded 1980. Subsidiary of LVMH. LaFerrari - limited edition of 50 pieces. HUGO BOSS WATCHES - black & orange watches. Hush Puppies - have defined casual comfort since 1958. ICE LINK - men's luxury timepieces. IK Colouring Watches - wholesale. IKEPOD BY MARC NEWSON - since 1993. INVICTA - founded in 1837. I.T.A. | ITALIA TECHNICA ARTIGIANA - all collections. ITS TIME - "When Swiss Made Counts." PRIVATE LABEL - "Committed to the development of Swiss Made Corporate Watches for ambitious companies, giving utmost priority to quality and efficiency." IWC | INTERNATIONAL WATCH CO. SCHAFFHAUSEN - founded in 1868. "Engineered for men." IWC | INTERNATIONAL WATCH COMPANY CO. - Wikipedia. PORTUGIESER GRANDE COMPLICATION - "The Portugieser Grande Complication brings together many of watchmaking’s most significant achievements. One of these is the perpetual calendar, further complications include the perpetual moon phase display, chronograph and minute repeater. A total of 20 functions are made possible by the interplay of 659 individual mechanical parts. PORTUGUESE SIDÉRALE SCAFUSIA - "Time is relative." The Portugieser Sidérale Scafusia is the most exclusive and most complicated mechanical watch ever created by IWC Schaffhausen. Price: CHF 750,000. IWI - luxury hand made English watches. JACOB & CO. - founded in 1986. All models. JACOB JENSEN - Danish design. JACQUES ETOILE - since 1996. JAEGER-LeCOULTRE - founded in 1833. JAGUAR COLLECTION - Jaguar Square One Watch. JAMES BOND WATCHES - "Dedicated focus on all things related to the wristwatches of James Bond, Agent 007, created by Ian Fleming and brought to film by Albert R. Broccoli's EON Productions." JAN LESLIE - watch cufflinks. JAQUET DROZ - since 1738. JEAN DUNAND - "Exceptual Timepieces for Exceptual People." JEAN LASSALE - "The world's thinnest mechanical movement ever (1.2mm) ... since 1976 !" PLANUM COLLECTION - pocket watches. JEAN-MAIRET & GILLMAN - founded in 1999. JEAN PERRET - since 1893. JEANRICHARD - one of the very few Swiss watchmaking brands to produce its own mechanical movements within its workshops. With roots going all the way back to 1681 and links to the watchmaking genius Daniel JeanRichard (famed as one of the founding fathers of the Swiss watchmaking industry). JLO WATCHES - by Jennifer Lopez. JOE RODEO - since 1980. Johan Eric - "Takes the best traditions of Danish Modern Design and updates them for the 21st century." JOHNSON WATCH CO - "Watches of Switzerland." JG6500 Men Commemorative Edition - the watch that President Barack Obama wears (US$325). Comes in a special commemorative edition, celebrating the inauguration of President Barack Obama on January 20th 2009. JULES JURGENSEN - founded in 1740 in Denmark. One of the most famous watchmaking companies in the world. Julien Coudray 1518 - collection. JULIEN LE ROY - (1686-1759). JULIUS LEGEND - founded in 1951. JUNGHANS - founded in 1861. Germany's largest watch and clock manufacturer. JUNKERS - founded in 1895. JUVENIA - founded in 1860. JWLRYMACHINE - "Boucheron's sparkling interpretation of Horological Machine N°3." KÄHLER DESIGN - wall clocks. Kairos - World's First Mechanical Smart Watch." KEES ENGELBARTS - "Unique hand-made watches." Kennett - men's & women's designer watches. Klokers - "Machines to Travel through Time." All models. Klokers KLOK-01-KLINK-01 - "Three rotating concentric rings -hours, minutes, and seconds- rotate at different speeds counterclockwise to display time along a vertical line." Klokers KLOK-02-KLINK-02 - "KLOK-02 with the double bracelet. Perfect for traveling, KLOK-02 makes it possible to display the time in its window, from among 24 cities. Minutes and seconds are retrograde." TWELVE - design by Issey Miyake. Kolarz - since 1918. Wall clocks. KONSTANTIN CHAYKIN - "Religion of Time." Kronaby - "A smarter watch. Hybrid watch - Connected. Not distracted." Kronaby connected watches combine premium design and smart features. Beautiful Scandinavian design in different sizes and colors. All models. L. LEROY - since 1785. LA VALLÉE - founded 1974. Lars Larsen Watches - "Made in Denmark." LARSSON & JENNINGS - "Minimalist Swiss watches." LEDERER DE PARIS - watch bracelet in assorted colors. Leica L1 & L2 watches - "Designed and engineered by Leica, and made in Germany." Leica Valbray EL1 Black Watch - "100 Years of Leica Photography Edition". The EL1, named for Leica founder Ernst Leitz, has design details inspired by Leica cameras and lenses and is limited to only 100 pieces worldwide. LEIJONA - since 1910. Finland's most popular wristwatch. LEIKR - Danish GPS sports watch features a two-inch color display to read your pace, speed, heart rate, distance, calories consumption and elapsed time. A device that monitors your performance, guides you through your route as well as through your workout. LÉON HATOT - since 1905. Youngest member of the Swatch Group’s prestige and luxury brands. LESCHOT - "The Tourbillon Watch Company." LETEL - since 1985. "Bespoke custom made." We offer distinguished customized quartz, automatic and mechanical luxury watches, through our extensive luxury network. LG Smart watches - "Get more from your watch - and your life with next-generation LG smart watches." LG Watch W100 - "LG Watch in Black." LG Watch W150 - "LG Watch Urbane in Silver." LGM JEWELRY - ceramic & tungsten watches. LIGNE ROSET - wall clock: It'S Your Time. Lilienthal Berlin - "Award-winning designer watches." The Urban Pulse of Time. Outstanding design, Berlin lifestyle, and “Made in Germany” quality, combined into a single watch. In short: the urban pulse of time for your wrist. LIMES - German mechanical precision watches since 1924. LINKS OF LONDON - since 1990. "Watches for Women." LINLEY - bespoke grandfather clocks and mantle clocks. LIP - French watchmaker since 1867. FRED LIP | Panoramic Classic Gold - 1960, Fred Lip, Lip Panoramic. GÉNÉRAL DE GAULLE | GDG Electronic Chrome Silver - 1952: the first models were worn by Charles de Gaulle and U.S. President Dwight D. Eisenhower. MACH 2000 - Dark Master (1975). Conceived by Roger Tallon, the designer of the TGV high-speed train. T10 Mermoz Chrome - (La Croix du Sud) 1933: created for Jean Mermoz's plane. T18 Churchill Gold - conceived by André Donat, and produced from 1933 to 1949. A T18 was offered in 1948 to Winston Churchill. LONGINES - founded in 1832. LINDBERGH'S ATLANTIC VOYAGE WATCH - US$3,895.00. LOUIS ERARD - since 1931. "Swiss Mechanical Watches." COLLECTIONS - "L'Esprit du Temps." Regulator - Reference 54 230 OR 01. Limited edition: 1-80. LOUIS GEORGE - founded in 1769. "Horloger du Roi." RÉfÉrence 8945 - one of the largest watches provided with a massive made gold casing. The size itself creates a majestic aura of supremacy. LOUIS GOLAY - since 1887. LOUIS MOINET - founded 1806. LOUIS VUITTON TIMEPIECES - men's. LOUIS VUITTON TIMEPIECES - women's. Louis Vuitton Tambour Horizon - men's & women's. All models. L.U.C. COLLECTION - by Chopard. Luch - founded in 1953. LUGO PILARIO - men's & women's. LÜTOLF PHILIP - since 1475. LÜM-TEC - MDV technology: special 8 layer application of ultra bright glowing superluminova photoluminescent material. LUMINOX - by Mondaine Watches. Since 1989. M-WATCH - by Mondaine Watches. MAGELLAN - founded in 2000. MAÎTRES DU TEMPS - since 2007. MANTEL DOME CLOCK - design by Cédric Ragot. ACCORDION WATCH - US$1.2 million. MARC ALFIERI - Sol Invictus Watch by Cabestan & Marc Alfieri. MARC ECKO - since 1972. MARCO POLO - since 1999. All models. MARCUS WATCHES - 170 New Bond Strett, London, U.K. "The most important collection of watches in the world." MARIGOLD WATCHES - "Passionately creative..."
MARKO VUCKOVIC - The Saturn Watch. Marloe - "Hand-Wound Watches. Designed in Britain." Martenero - "Modern Mechanical Watches." Modern, clean, and mechanical. Based in New York. Martian - "Voice Command Smart Watches." Martian Notifier - all models. Matian Voice Command Store - all models. MATHEY-TISSOT - founded in 1886. "Les artisants du temps." MATTHEW NORMAN - revelation collection. MAURICE LACROIX - ultra-luxury brand founded in 1975. MB Chronowing smartwatch - by designer Michael Bastian and Hewlett-Packard. MB-MICROTEC - founded 1968. "Self-activated illumination." Use tritium to illuminate the hands and numerals. MB WATCHES - custom made watches. MB&F | MAXIMILIAN BÜSSER & FRIENDS - founded in 2005. MELLERIO DITS MELLER - since 1613. MEMPHIS BELLE - customized professional, diving watches and aeronautical chronographs. Mermod FrÈres - founded in 1816. Miang - "With more than 400,000 possible combinations, Miang Copenhagen lets you design a reflection of your ideas and lifestyle in an innovative horological product." Michael Kors - "Style That's Connected." Designed by Michael Kors. Powered by Android Wear. The timepiece you need for the lifestyle you want. Michael Kors - men's watches. Michael Kors - women's watches. MIDO - Swiss watches since 1918. A Company of the Swatch Group. MILLAGE - founded in 1997. MILUS - founded in 1919. MINERVA - founded in 1858. MINI CLOCKS - miniature clocks. MINI MOTION WATCH - designed by Yves Behar. MINT - Butterfly Round Clock - Skye Blue. MONDAINE - founded in 1951. AUTOMATIC - the classic Official Swiss Railways Watch. PRIVATE LABEL - trade brand watches & outsourcing services. Mondaine Helvetica 1 smartwatch - "First ever Swiss-made smartwatch launched by iconic watch brand Mondaine." All models. MONTANA WATCH COMPANY - "Unique American handcrafted timepieces." MONTBLANC - founded in 1906. MONTRES CHARMEX - "Manufacturer of prestige Swiss watches since 1926." MONTRES CHOISI - since 1929. MONTRES DAVIS - since 1987. MONTRES LUNESA - since 1777. MOSSY OAK - H3 Tritium watches for hunters and outdoors. MOTO 360 - "Moto 360 streamlines your mobile life." By Motorola. Smartwatch powered by Android Wear. With edge-to-edge glass that gives you the largest viewing area, Moto 360 keeps you up-to-date so you can see what matters while staying in the moment. MOVADO - founded in 1881. Swiss luxury watch company whose name is Esperanto for "movement". MTM MILITARY WATCHES - founded in 1980. Pioneer in supplying customized watches to corporations, military and police units worldwide. MURANO MILLEFIORI WATCHES - Glass of Venice. MVMT - "Quality Crafted Men's & Women's Watches That Don't Break The Bank." Mykonos Design - "Unique Fashion Design Watches." MyKronoz - "The Smartwatch designed in Switzerland." NASTRIX - the 'Kennedy Onassis' 57 jewels automatic watch. Nautische Instrumente MÜhle-GlashÜtte - marine timepieces for professional shipping. NHC | NOUVELLE HORLOGERIE CALABRESE - since 1977. NIVREL - since 1936. "The German watch with a Swiss heart." NOMOS GLASHÜTTE - founded in 1991. NOOKA - the brainchild of artist and designer, Matthew Waldman. Since 2004. NOON COPENHAGEN - "Watches with a rotating design!" NURSES WATCHES AT AMAZON.COM - 156 watches. O & W WATCHES | Ollech & Wajs Zurich - since 1956. OAKLEY - since 1975. Men's watches. OBAKU - "Forget about time, let the moment rule." Obaku Denmark is an exclusive collection of timepieces designed by blending two traditions of simplicity: Danish minimalist design and Zen philosophy. Ocean Crawler Navigator Watch - since 2017. "Diving Watches." OCEANUS - "The world's first atomic, solar powered chronograph watches." OFFICINA DEL TEMPO - since 2000. "Styled and made in Italy." OLD ENGLAND - launched in 1967. OLE MATHIESEN - by appointment to the Royal Danish Court. Oliver Hemming - clocks & weather stations. Award winning Bristish designer. OMEGA - founded in 1848. The first watch on the Moon in 1969. SEAMASTER POLARIS - only 7,622 manufactured. ONLINE STOPWATCH - "A Simple, Fast Flash Online Stopwatch and Online Countdown timer always available when you need it." ORIENT - founded in 1950. ORIS - founded in 1904. OXY WATCH - E-ink digital bracelet unisex watch by Adrián Castro. PAMP WATCHES - Goldavenue Genève. PANERAI - founded in 1860. PARIS HILTON WATCHES - women's. Parmigiani Fleurier - founded in 1996. "One of the most prestigious Swiss Haute Horlogerie brands." BUGATTI TYPE 370 - "Reconsidering watchmaking conventions." BUGATTI TYPE 390 - "An engine block on the wrist." Tonda 1950 Tourbillon - "Inspired by the theme of 07:08." PATEK PHILIPPE - founded in 1839. Awarded the Hallmark of Geneva. Made the world's first wrist-watch in 1868, and since pioneered the perpetual calendar, split-seconds hand, chronograph, and minute repeater in watches. PATEK PHILIPPE & CO. - Wikipedia. Patek Philippe Becomes Most Expensive Wristwatch Ever Sold at Geneva Charity Auction - BloombergBusiness. PATEK PHILIPPE MUSEUM - Rue des Vieux-Grenadiers 7, CH-1205 Geneva, Switzerland. World’s most complicated watch - "To pay tribute to its 175th anniversary, Patek Philippe created a collection of limited-edition commemorative timepieces, and one of them stands out in particular: Patek Philippe Grandmaster Chime Ref. 5175. Price: US$2.6 million." ALL MODELS - the complete collection of available Patek Philippe timepieces. CALIBRE 89 - is a commemorative pocket watch created in 1989, to celebrate the company's 150th anniversary. Declared by Patek Philippe as "the most complicated watch in the world", it weighs 1.1 kg, exhibits 24 hands and has 1,728 components in total, including a thermometer and a star chart. Made from 18 carat (75%) gold, it has an estimated value of $6 million, and took 5 years of research and development, and 4 years to manufacture. Four watches were made; one in white gold, one in yellow gold, one in rose gold and one in platinum. DOHA WORLD TIME - limited edition. This world time watch was never offered for sale upon its release, as it was made for the state of Qatar to be given as state gifts. JamesList. Golden Ellipse, Model 5738R-001, Rose Gold - "A large-format version of the rose-gold model. After the Golden Ellipse was launched in 1968 with a yellow-gold case featuring a mysteriously shimmering blue-gold dial, it was also crafted in cases with other gold alloys and dials with other colors." Nautilus, Model 5980/1AR-001 - Stainless Steel & Rose Gold. REF. 1527 - world's most expensive wristwatch: sold for CHF6,259,000 / US$5,708,885 by Christie's (Geneva) on May 10, 2010. REF. 5016A-010 - world's NEW most expensive wristwatch: sold for CHF7.300.000 by Phillips (Geneva) on November 7, 2015. Created specially for Only Watch 2015 and is the first and only version of this watch to be produced in steel. Sky Moon Tourbillon - ref. 6002G. US$1.2 million. Patek's most complicated wristwatch ever. SUPERCOMPLICATION - Patek Philippe Henry Graves Super Complication Pocket Watch sold for US$24 million at Sotheby’s in Geneva on November 11, 2014, setting a new record price for any timepiece sold at auction. TWENTY~4 - ladies' collection: 27 models. PATTON - "Extreme watches from Place Vendôme." PAUL BUHRÉ - since 1815. PAUL PICOT - "Artisan - Horloger - Suisse." Pavel BurÉ - "Russia’s First Mass-Produced Watch." PEBBLE - "Smartwatch for iPhone & Android." Pebble 2 - "Fix & Smart." + Heart Rate. Pebble 2 SE - "Kickstart a Healthier You." Pebble Time Round - "Smart & Stunning." Pebble Time Steel - "This Time is Serious." PELLATON AUTOMATIC WINDING - IWC: Big Ingenieur. PERRELET - founded in 1777. Abraham-Louis Perrelet invented a self-winding mechanism in 1770 for pocket watches. Petrodvorets Watch Factory - founded by Peter the Great in 1721. PHILIP STEIN - founded 2002. "Natural Frequencies Inside. The Natural Frequency Technology in Philip Stein watches are key frequencies beneficial to life and health." PHILIP WATCH - since 1858. PHOENIX WATCHES - since 1990. PHOSPHOR - "Time Reinvented." E-ink world time watch and digital watches. PIAGET - founded in 1874. ALTIPLANO WATCH COLLECTION - ultra-thin timepieces. DANCER COLLECTION - "Execeptional Pieces." PIERRE DEROCHE - since 1937. TAYLOR MADE - "Engravings personalise the watch complications, making them unique in the eyes of their owner. A former member of the Cabinotiers de Genève, the engraver follows the lead of the designer and can display all kinds of scenes, landscapes or monuments." PIERRE LE ROY - (1717-1785). PIERRE MICHEL GOLAY WATCHES - Horological Meandering. PINEIDER - since 1774. All models. PLL PARIS - pocket watches. PÖTGER-PIERI - owned by Invicta Watch Company. POLAR ELECTRO - "Listens To Your Body." Manufacturer of advanced sports training computers, heart rate monitoring equipment & sports GPS watches since 1977. Polar RC3 GPS Tour de France - "Essential features in one compact package." POLJOT - founded in 1964. PORSCHE DESIGN - all models. PRECISTA - Swiss made military watches. PRESIDENTIAL WATCH COMPANY - an Authorized Jorg Gray Retailer. Commemorative Jorg Gray 6500 Series Chronograph - is the same 41mm wristwatch worn by President Barack Obama. PRESIDENT BARACK OBAMA'S WATCH - the President has worn the Jorg Gray 6500 Chronograph on many historic occasions since August 2007. PROJECTS - "Architecture you can wear." Since 1992. All collections. FREE TIME WATCH - has 3 concentric circles. WATER BUBBLES WATCH - air, water, gas... The elements watch. PULSAR - division of Seiko. The world's first electronic digital watch, today Pulsar watches are usually analog. QUADRIGA COLLECTION - "Precision since 1837." QUANTUM - "Time is now." QUINTING - "A New View of Time." RADO - founded in 1917 as Schlup Co. Since 1957 under the Rado brand. RAIDILLON - since 2001. Each model is produced as a limited series of 55 watches. RAINER BRAND - "Maker of High Quality Mechanical Watches." RAKETA - since 1962. "Russian made, Sovjet born." RALF TECH - since 1998. RAMA WATCH - founded in 1914. RAPHAËL LÉON - by Prodori. RAYMOND WEIL - founded in 1976. REACTOR WATCHES - sports & dive watches. RECONVILIER - founded in 1905. RECTA - founded in 1897. RED ARMY WATCHES - "Born in 1949 during Soviet time and its watches were the standard issue to all air force pilots at that time and were never sold in shops." RENDEX - "Trend Watches Since 1966." RENÉE GEROVE - since 1972. RETROWERK - "A combination of German craftsmanship, Swiss mechanical movements and the best of Steampunk artistry. Watches from the depths of Jules Verne imagination to the heights of eccentric horology." REUGE - since 1865. "The Art of Mechanical Music." REVUE THOMMEN - Swiss watches since 1853. RGM WATCH COMPANY - "America's Premier Watchmaker." RICHARD MILLE - Swiss luxury watchmaker founded in 2001. RM 27-01 Raphael Nadal - limited edition of 50 timepieces. Weight of the movement: circa 3.5 g. With the strap it weights just 19 g. Price: US$690,000. RICHEMONT - Switzerland-based luxury goods holding company founded in 1988 by South African businessman Johann Rupert. Through its various subsidiaries, Richemont designs, manufactures, distributes and sells premium jewelery, watches, leather goods, writing instruments. Ridgeway Clocks - "The heartbeat of the home." Ritz Paris Essentials - "Keep time with the Ritz Paris with this small wall clock, a faithful replica of the clocks installed in every room at the opening of the hotel. Gilded with fine gold, its elegant knot motif is enhanced by delicate chasing." ROBERGÉ - since 1972. "Where artistic excellence meets state-of-the-art watch-making." ROCHEFOUCAULD WATCH - "The thinnest water-resistant watch in the world." Made-up brand in the 1983-movie "Trading Places". RODANIA - founded in 1930. ROGAN - Timeless Watch. Forget eternity rings - get a Timeless Watch. Created with sustainability in mind, old watch parts are reassembled by hand in NYC and therefore each is completely unique. ROGER DUBOIS - founded in 1980. Awarded the Hallmark of Geneva. The only watch manufacturer to stamp the Hallmark of Geneva on its entire production. ROGER W. SMITH - watch, clock & chronometer makers. ROGER W. SMITH - Wikipedia. ROLAND ITEN - "Mechanical Luxury for Gentlemen." ROLEX - founded in 1905. FOLEX - fake expensive watch as in, faux (french for fake) Rolex, faux-lex, folex. Paul Newman Rolex Sells at Auction for Record $17.8 Million - The New York Times. TOTAL ROLEX - the book Total Rolex illustrates all watch models produced by Rolex, specifying the period of production and the metal of all watches. MEN'S SELECTION - festive selection. OYSTER PERPETUAL COSMOGRAPH DAYTONA - the driver's watch. PAUL NEWMAN'S LEGENDARY ROLEX DAYTONA WATCH - with the contrasting "Panda" dial. Oyster Perpetual Submariner - the Rolex Submariner has appeared in eleven James Bond movies. ROSENTHAL - Versace crystal clocks. ROTARY WATCHES - founded in 1895. "Les Originales." BUILD YOUR OWN BESPOKE WATCH - create a customised Rotary Aquaspeed Watch. Rothschild FabergÉ Clock Egg - jewelled, enameled decorated egg made under the supervision of the Russian jeweller Peter Carl Fabergé in 1902 by the workshop of Michael Perchin, for Béatrice Ephrussi de Rothschild. It was sold by Christie's auction house on 28 November 2007, for £8.9 million (including commission). The price achieved by the egg set three auction records: it is the most expensive timepiece, Russian object, and Fabergé object ever sold at auction. ROVENTA-HENEX - since 1959. "A Master of Time." Swiss private label watches. ROYAL DOULTON - since 1815. Royal Albert New Country Roses White Clock. S. COIFMAN - owned by Invicta Watch Company. Saint-Blaise of Switzerland - "Fine watches since 1921." SAINT HONORÉ PARIS - since 1885. Samsung Smartwatches - "Elevate your style." Samsung Gear S3 - "Timeless outside. Revolutionary inside." SANDOZ SWITZERLAND - since 1870. SARCAR - founded 1948. "Creator of dreams." Espen Oeino Edition - limited to 100 pieces. SCHAUMBURG WATCH - "Authentic Hand Made." SCHEMPP - Precision Aviator Timepieces. SCHROEDER - since 1877. All collections. SCHWARZ ETIENNE - since 1902. SCUDERIA FERRARI ONE BY CABESTAN - limited edition: 60. Price: US$300,000. SEA-GULL - founded in 1955. The world's largest manufacturer of mechanical watch movements, producing one quarter of total global production. SEAHOPE - art & design watches. SECTOR - founded in 1973. "No Limits." OUR WORLD'S FIRSTS - Seiko's world achiements, many of which changed the history of timekeeping. SEIKO ASTRON - "The world’s first GPS solar watch. The watch that understands all the 39 official time zones." Seiko Astron watch uses GPS to set the time anywhere in the world. SEKONDA - "The UK's No. 1 Watch Brand." SETH THOMAS CLOCK COMPANY - Wikipedia. SHELLMAN ORIGINAL WATCH - since 1971. Shinola - "Good For Life." American-made men's & women's watches. SIGMA SPORT - since 1885. SINN - since 1961. "Passionate About Watches." SJÖÖ SANDSTRÖM - since 1986. All models. SJX Watches - since 2011. All brands. Skagen - "Modern innovation meets classic watchmaking." Skagen Connected - Hagen Connected Hybrid Smartwatches. All models. SLAVA - founded in 1924. SMH | SociÉtÉ de MicroÉlectronique et d'Horlogerie - was the original name of the new holding company issued from the merger enforced by the Swiss Banks in 1983 of both the SSIH and ASUAG, now Swatch Group. Snyper - since 2008. "Time on Target." Sony SmartWatch 2 - "Expand your Android experience; Interacts with your smartphone over Bluetooth; One-touch via NFC for easy pairing and connection; Sunlight readable; water resistant; Wide range of apps available at Google Play." Sony SmartWatch 3 SWR50 - "Life at a glance." The watch that makes life simpler and smarter. SOTHIS - hand crafted watches since 1996. SPROUT - "An Eco-Friendly Timepeice." SQUALE - leisure and professional divers' watches. S.T. DUPONT RAID WATCH - limited to 500 pieces. STARCK WITH FOSSIL - designed by Philippe Starck. STEINWAY & SONS - "Luxury Swiss Watches." STÜHRLING ORIGINAL - founded in 1999.
sturmanskie WATCHES - "Born in 1949 during Soviet time and its watches were the standard issue to all air force pilots at that time and were never sold in shops." SUNDIALS AT AMAZON.COM - 192 sundials. SUNSPEL - London since 1860. Men's. SUNSPEL - London since 1860. Women's. SUUNTO - sports precision instruments for diving, training, mountaineering, hiking, skiing and sailing. All models. SWAROVSKI - founded in 1895. SWATCH - founded in 1983. SWISS CODE RED - "The new definition of Swiss time." SWISS CUCKOO CLOCKS AT AMAZON.COM - 259 clocks. SWISS MILITARY WATCH - world record holder: water resistant as per ISO norm 6425 to an incredible 20’000 feet or 6’000 meters. SWISS MILITARY WATCHES - by Wenger. Founded in 1993. SWISS TIMER - created in 2002 by experienced Swiss watchmakers. SWIZA - since 1904. Switzerland's largest alarm clock manufacturer. SYZYGY WATCH - features ellipsoidal hands. Tabbah - Tabbah entered watch production in the 1950s as a natural extension of their jewellery business. Their earliest watches were crafted to bespoke measurements, produced as unique pieces specifically for private clientele. TAG HEUER - "Swiss Avant-Garde Since 1860." Subsidiary of LVMH. CALIBRE 11 - independent website dedicated to exploring the story behind every Heuer and TAG Heuer watch. CARRERA CALIBRE 17 PANDA SILVER & BLACK - based on the original timepiece created by Jack Heuer in 1963.
carrera mikrogirder 10,000 - winner of the Geneva Aiguille d'Or 2012 (Golden Hand) at the GPHG | Geneva Watchmaking Grand Prix. Tag Heuer Connected - "Attuned To Your Touch." Equipped with directional wind and weather monitoring, RaceChrono Pro capability, and Google Fit. Android Wear connects you with thousands of apps that you can tailor to your taste. MICROTIMER FLYING 1000 - first Swiss electronic movement offering remarkable 1/1000th of a second precision. Monaco collection - movie actor Steve McQueen wore the celebrated Chronomatic Calibre II in the film Le Mans in 1971. TAWATEC - "Tactical Watch Technology." TB BUTI - Italian luxury watches. TECHNOMARINE - founded in 1997. TÉLÔS WATCH - since 2009. Bureau de développement en horlogerie. TEMPVS COMPVTARE - ocean friendly watches. TENDENCE - "With their unique dimension, chromatic choice and design are the ultimate accessory to complete the most individual of looks." THE BOHLIN CO. - men's. THE BOHLIN CO. - women's. TV WATCH - LED time reading system. THUNDERBIRDS - air craft watch. TIC&TAC - wall clock by Kartell. Designed by Philippe Starck with Eugeni Quitllet. Everything you need to know about the Tiffany Metro watch - The Telegraph. TIME IT - LED display curls around your wrist. TIMEBEAM - projecting clocks for the future. Large and dramatic analogue clock images can be thrown across your office or home. TIMEKEEPER CHRONOMETRIE GERMANY - "Special Watches Made in Germany." TIMEX - founded in 1854. TIMES CLASSIC DIGITAL - Timex 80 Watch. TIMEZONE - "Shenzhen TimeZone Watches Co., Ltd. is a professional watches manufacturer, which has the whole processes of designing, manufacturing, producing and marketing the luxury watches with the emphasis on the R&D and manufacturing. Our specialty products include stainless steel watches, titanium watches, PC watches, diamond watches, chronograph watches, leather band watches, silicon and rubber watches in various styles: men watch, lady watch, sports watch, military watch, dives watch, leisure watch, etc." TIQ - "The Time Corporation." TITAN WATCHES - founded in 1987. World's sixth largest wrist watch manufacturer and India's leading producer of watches under the Titan, Fastrack, Sonata, Nebula, RAGA, Regalia, Octane & Xylys brand names. TOKYOFLASH JAPAN - bizarre watch manufacturer. LED & LCD watches. TORGOEN SWISS - professional pilot watches. TOURNEAU - established in 1900 in U.S.A.
TOYWATCH - "Hollywood is obsessed with this Italian-made chronograph wristwatch." TRADITIONAL JEWELERS - "Exceeding your expectations." Fine jewelry and luxury watches (Newport Beach & Malibu, CA, U.S.A.). TRASER - "The power of light." TREBOR - blends Swiss precision with contemporary styling and the masterful touch of third generation jeweler Robert Mouawad. TUDOR - Rolex sells less expensive watches under the Tudor brand name, which was introduced by Rolex founder Hans Wilsdorf in 1946. TUTIMA INSTRUMENT WATCHES - since 1927. TW STEEL - "Big in oversized watches." 500 SERIES - world time series. UHR-KRAFT - "Time to be different." UK GERMAN DESIGN - "Time to be different." Uniform Wares - "Swiss Made." All models. UNION GLASHÜTTE - founded 1893. UNIVERSAL GENÈVE - since 1894. UNIVERSE WATCH (HK) CO. - "The Persuit of Perfection." Professional watch manufacturer and exporter, the company owns a first class group of technicians, designers and staff, which produces more than 800 thousand watches per year, including 500 different style samples and thousands of different style design drawings for customers reference. University of Oxford - men's Swiss watch. URBAN JÜRGENSEN - since 1773. Reference 2 - 50 pieces made in platiunum & 100 pieces in gold. Reference 3 - limited to 50 pieces in platiunum & 100 pieces in gold. URWERK - since 1995. "The future of fine watchmaking." UR-105TA - ‘Turbine Automatic’ Watches In Fancy Colors. U.S. NATIONAL DEBT CLOCK - real time. UTS WATCHES - dive watches. VACHERON CONSTANTIN - founded in 1755. Awarded the Hallmark of Geneva in 1909. Swiss luxury complicated timepieces since 1755, is the oldest watch manufacturer in the world in continuous operation. MÉTIERS D'ART - reference: 81750/S01G-9198. Kalla Duchesse Métiers d'Art watch 36 × 45 mm in 18K white gold set with 837 baguette-cut diamonds and 1 round-cut diamond, certified Hallmark of Geneva. Fully paved dial and bracelet, diamond-set crown. Vacheron Constantin Manufacture hand-wound mechanical movement 1400. Price: US$1,275,000. VAKIO - by Issey Miyake. VALJOUX - Swiss manufacturer of mechanical watch movements. It is known primarily for chronograph ébauche movements that are used in a number of mid- to high-range mechanical watches: The company has been a part of ETA for a number of years and is a member of the Swatch Group. VAN CLEEF & ARPELS - founded in 1906. VAN REE - "Personal DNA Watch." The first watch ever to store the DNA of its owner. VANNEN - limited edition artist watches. Vector Luna - "The smartwatch with a 30-day battery life." Vector Luna smart watches - all models. VERDURA - since 1939. Bracelet watches. VESTAL WATCHES - founded in 1997. VETTA WATCHES - since 1932. Viceroy - founded in Switzerland in 1951. VICTORINOX SWISS ARMY - all collections. I.N.O.X. - The quintessence of Victorinox expertise. Vince Camuto - men's & women's. VOGARD - "The Time of Your World." VOSTOK WATCHES - founded in 1942. Russian military watches sold from Switzerland. Manufactured in Russia’s only watch factory Chistopol Watch Factory. VUILLEMIN RÉGNIER - since 1920. VULCAIN - founded in 1858. THE WATCH FOR PRESIDENTS - television commercial. WALDAN INTERNATIONAL - founded in 1954. "Chronographs and Chronometers for the Discerning Timepiece Collector." WALTHAM WATCH COMPANY - (1850-1957/1994). WATERFORD - crystal clocks & timepieces. WEDGWOOD CLOCKS - founded in 1759. Weiss Watch Company - "Restoring prestige to American watchmaking." WENGER - founded in 1886. WEST END WATCH CO. - founded in 1886. Westclox - since 1884. Current brand of clocks and alarm clocks. WEWOOD - trendy wooden watches. WILLIAM & SON - women's. WIMM One - smartwatch. Wearable computing device running a modified version of the Android operating system. It comes preloaded with several apps. Additional applications can be downloaded from the micro app store or side-loaded over USB. Withings ActivitÉ - smartwatch. "Motion Is Life." French craft. Swiss made. Withings Activité is the new generation Swiss Made watch, combining time and activity tracking. Withings ActivitÉ Pop - smartwatch. "Activité Pop helps you embrace healthy habits, while adapting to your rhythm of life and complementing your style." WORLD TIME ZONE CLOCK - by Marco Polo watches. XANTIA - since 1962. Private label watches. XEMEX - since 1996. Swiss Watch designed by Swiss designer Ruedi Külling. XETUM - Swiss automatic and modern mechanical watches. YES - "Solar Lunar Timekeepers." York Watches - by York Prince of Schaumburg-Lippe. ZANNETTI - "Handmade and Luxury Watches." ZEGG & CERLATI - Monte-Carlo, Monaco. ZENITH - founded in 1865. Subsidiary of LVMH. ZENO-WATCH BASEL - founded in 1868. ZIIIRO - clock faces without hands or markings, but a constantly changing pattern of rings indicating the passing of time. ZODIAC - founded in 1882.